Denburg worked on a global initiative that is improving the availability of cancer related medications for children. “Childhood cancer has no borders; yet, sadly childhood cancer medicines do,” said Ruth Hoffman, CEO of the American Childhood Cancer Organization, and co-founder of ACCESS. “A major barrier to treating and curing children with cancer in low- and middle-income countries is lack of access to essential medicines. In January, a partnership with Teva Pharmaceutical Industries Ltd. led to emergency provisions of 13 cancer medicines included on the World Health Organization’s Essential Medicine List – more than 17,000 vials – to children with cancer in Ethiopia. 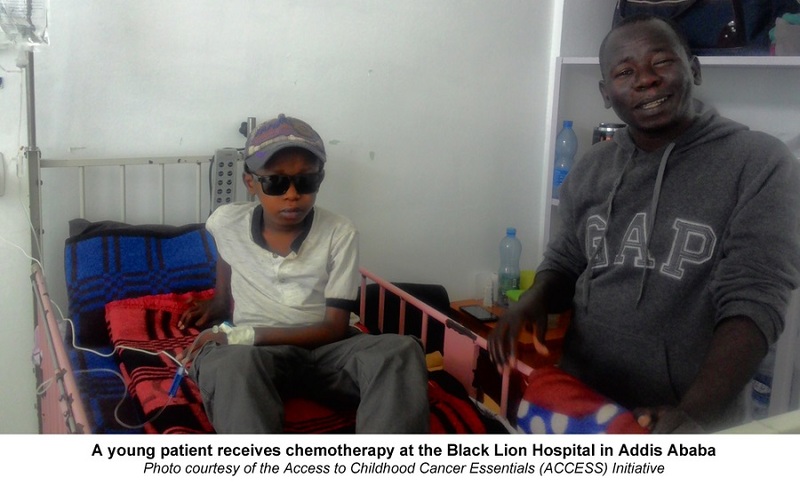 The request came as an urgent plea to Ruth Hoffman from parents of children with cancer being treated at Black Lion Hospital in Addis Ababa, Ethiopia. “We are so grateful to our colleagues at TEVA and to Giancarlo Francese, Head of Teva Access who quickly responded to this crisis situation,” said Ruth. ACCESS is also launching an innovative research program to study the many critical barriers to childhood cancer drug access in Kenya, Rwanda, Uganda, Tanzania and Ethiopia. Read more about Teva’s donation and ACCESS below.